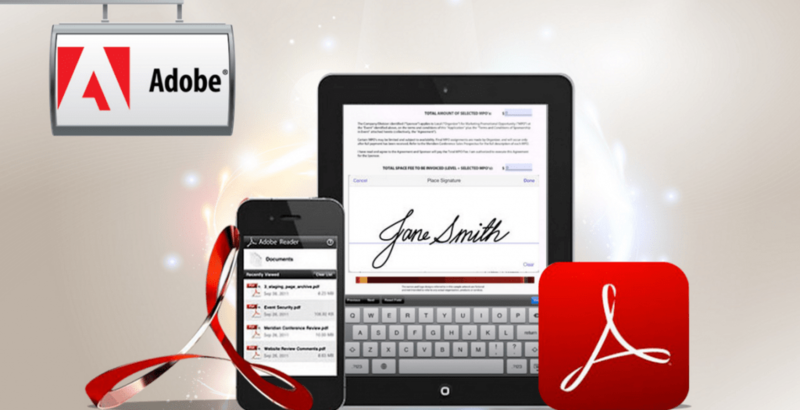 Managing Your PDF Files Has Never Been This Easy! A new collaboration between Dropbox, a file-storage site and Adobe that has taken place recently is well set to help individuals and companies that work extensively with PDF files of all sizes. For those who are used to working with Acrobat DC or the Adobe Acrobat Reader app here’s an opportunity to work easily and effectively with their PDFs that are stored across their Dropbox accounts. 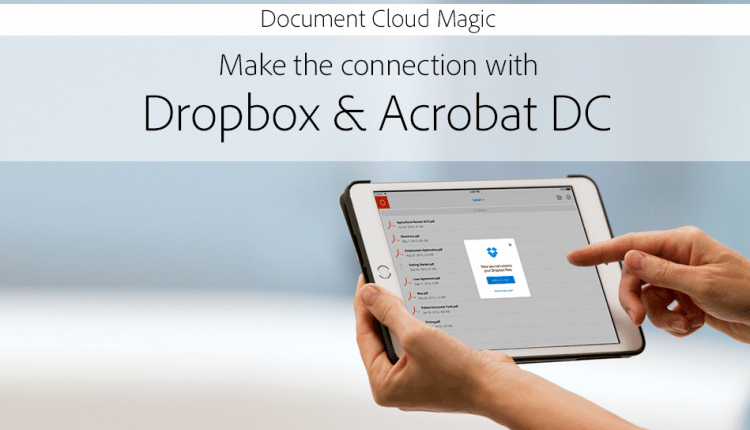 While the Acrobat DC app that is available to work with desktops allows users to work seamlessly across different PDF files via different devices by merely tapping into the cloud, the Acrobat Reader app that is free to download for Android and iOS devices enables its users to view the content, mark up and even share the files with other users. The whole idea behind the creation of these apps is to help users simplify the way they synchronize, share and store their PDF files. The Dropbox when it is used as a common storage area will allow its users to work with their PDF files, either on their mobile devices or desktops in an efficient way. Such a compact integration is required as the users will find it easy to share, manage and update the PDF files even when they’re on the go! The new process that has emerged after the association between the Dropbox and Adobe has meant that users can work with any of the Acrobat apps (either the desktop version or the mobile version) and open, view, make changes or save the PDF files and the same changes will take place on the files stored in their Dropbox account automatically. These updated files can also be shared with others by merely sharing the shared folders or a Dropbox link. Alternatively, the Dropbox users will have an option to open, edit, save changes and electronically sign the PDF files stored in the Adobe apps by accessing them through the Dropbox Android app, Dropbox iOS app or the Dropbox website. 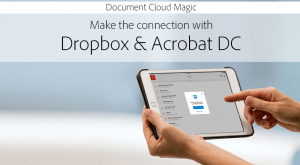 Dropbox account holders can update their account details within Acrobat Reader and Adobe Acrobat apps to enable them work with PDF files through Dropbox that is present within the Adobe products. 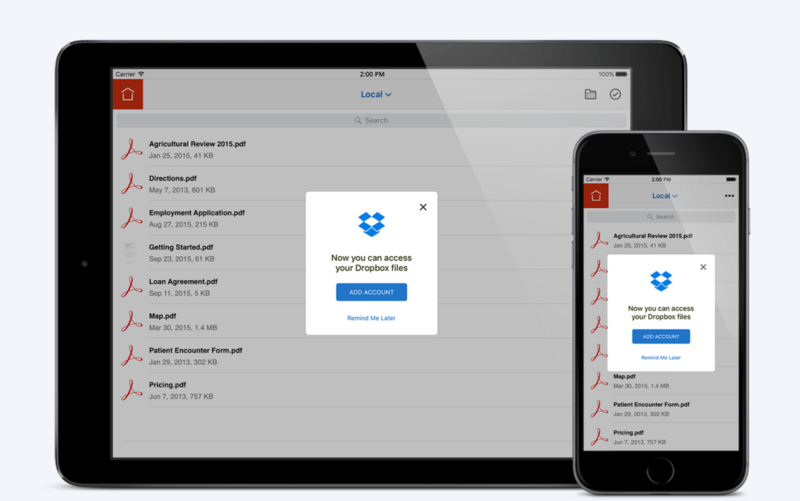 While the Web and Android integration is going to take place only in 2016, the integration between Dropbox and Acrobat Reader on iOS is expected to take place in the coming months. Thanks to these integration, users no longer have to wait to fire-up their computers to add feedback or electronically sign a contract. Instead, they only need to use Dropbox and get on with their PDF works easily and quickly. Want more Power in Your Surface Book?